Perfectly maintained townhome in the Isles on Palmer Ranch. Low HOA fees and maintenance free with monitored security, basic cable, all included in the HOA fee. This end unit has a 2 car garage, 3 bedrooms, and 3 full private baths for you and your guest. Includes a private, caged, built in pool with brick pavers. Roof is barrel tile. New A/C (Dec. 2017), new pool pump and heater (Dec. 2016), and freshly painted in neutral tones on the lower level. On the 1st floor, bedroom is being shown as a den/office, it has a walk in closet and private bath, with a door that leads to a porch outside, where your guest can enjoy privacy and fresh air. Kitchen has stainless steel appliances, and granite countertops, and beautiful 42" wood cabinets. 2nd floor has Double Master Suites, each with it's own full ensuite bath & walk-in closet, with beautiful engineered hardwood floors. One of the Master bedrooms on 2nd floor has a balcony. Home has Plantation Shutters throughout. The Isles offers a state of the art fitness center with community pool, Har Tru tennis courts, basketball court, bocce, pickle ball, tot lot, games, cardio classes, and a lot more activities for all ages to enjoy. 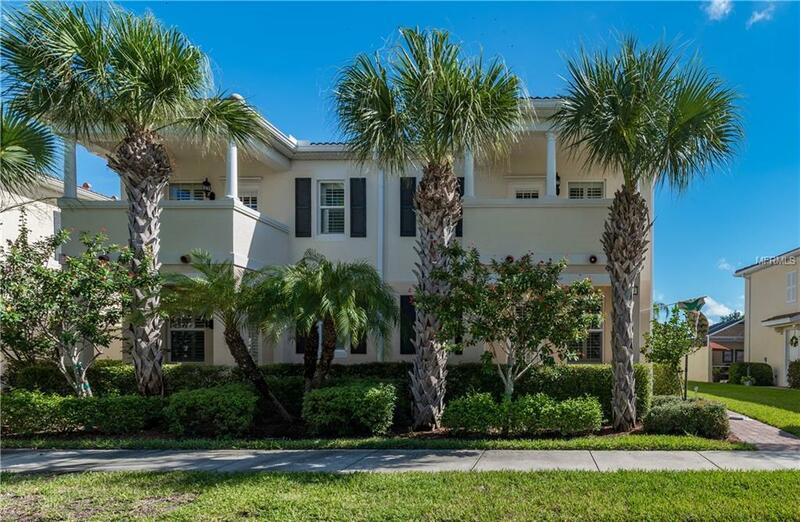 This community is in a perfect location with fine dining, shopping, theater, downtown Sarasota, biking/walking trails, kayaking, and of course the #1 beach, Siesta Key, are all close by! This home is perfect as a primary residence or a winter home. Don't wait to see this home! Will not last!